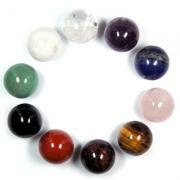 Medium (2" - 3" & Thin) - 1pc. XL (4" - 5" & Thin) - 1pc. 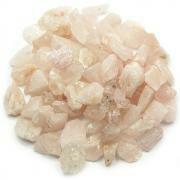 Lemurian Clear Quartz Points "Extra/A" (Arkansas) - These are beautiful Clear Quartz crystal points from Arkansas. Although they are not traditional Lemurians, they have the distinct Lemurian appearance of horizontal striations or grooves on one or more sides. 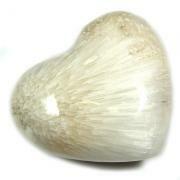 Commonly, the sides of a Lemurian Crystal will have alternating striated and smooth faces. The faces at the tip of a Lemurian Crystal are small, and often a Lemurian will gently taper in size from base to tip. Note: These are "Extra" Grade quality but have been down graded to "A" Grade due to slight chipping. Also called "Lemurian Seed Crystals," Lemurian Quartz Crystals were originally found in Brazil but are now found in several locations around the world. Although some purists may dispute whether they are traditional Lemurians, we have found these crystals to be especially "wise" and already pre-programmed with Lemurian-like wisdom for the purpose of spiritual progression. Metaphysical legend states that there was once an advanced ancient civilization called Lemuria, similar to Atlantis but more spiritually developed and peaceful. As their time on Earth was coming to a close, the Lemurians programmed these crystals to teach their messages of oneness and healing - messages that would be revealed when the energy on Earth was ready to receive them. The Lemurians then planted (or "seeded") the Lemurian Crystals, encoded with their ancient knowledge and wisdom, to be found centuries later by us. The legend continues to state that Lemurain Seed Crystals are planted in a grid pattern over the surface of the Earth and beyond, to other stars and dimensions. When you connect to a Lemurian Crystal and the energy it contains, you are also connecting to this grid of associated energies from the Earth, the stars, and beyond. Lemurian Crystals have a distinct appearance. Look carefully at a Lemurian Crystal and you will see horizontal striations or grooves, like "bar codes," on one or more sides. Commonly, the sides of a Lemurian Crystal will have alternating striated and smooth faces. 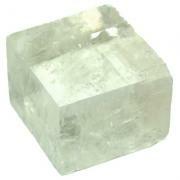 The faces at the tip of a Lemurian Crystal are small, and often a Lemurian will gently taper in size from base to tip. 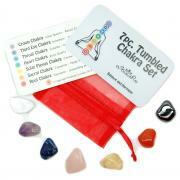 As opposed to quartz that you program, Lemurian quartz is quartz that you activate. As you meditate, rub your finger along the "bar codes" on the side of a Lemurian Quartz Crystal to activate and download Lemurian knowledge and connect to the Lemurian energy grid. Lemurian Quartz Crystals teach oneness, reminding us that while we are all individuals, we are also connected to each other, and that we are all equal in Spirit. 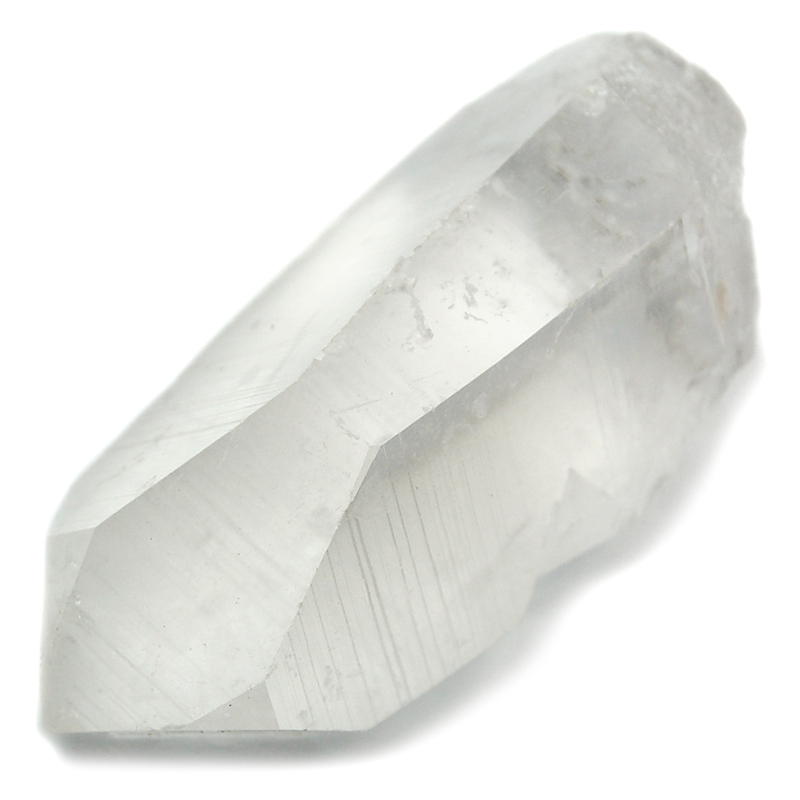 Lemurian Quartz Crystals help us maintain our connection to Spirit, aiding spiritual evolution, and have been used successfully in dream work.